Walkers, cyclists and runners soon will be able to traverse Elizabethtown, from the east side to the west, on a pathway that the borough is constructing. 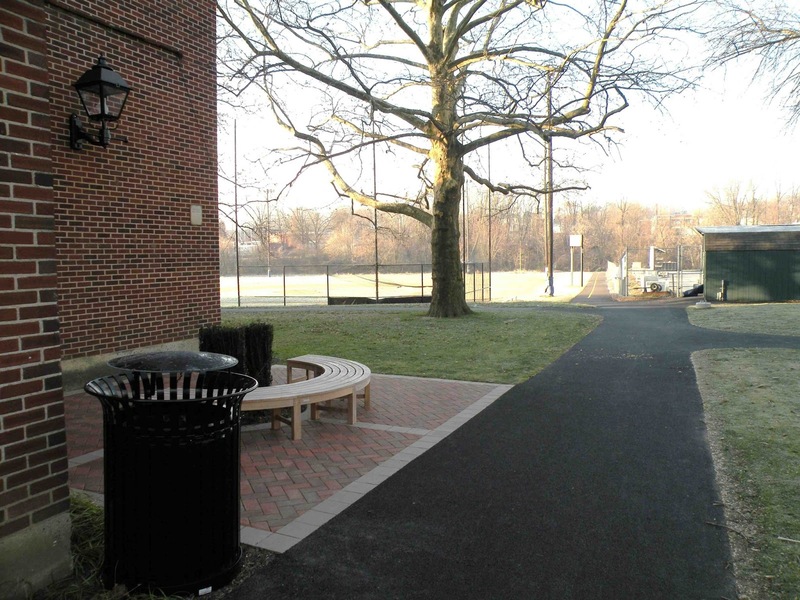 A pedestrian and bike path that has been part of the borough's downtown master plan approved in 2005. The plan, a map of which you can see here, is to have a path that stretches from the train station all the way to the Elizabethtown Area School District property. 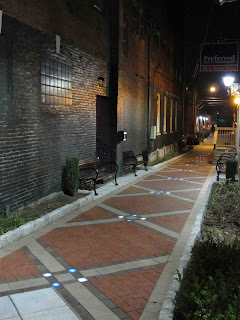 We have been working on the west section from Market Street to the Train Station for a couple of years. 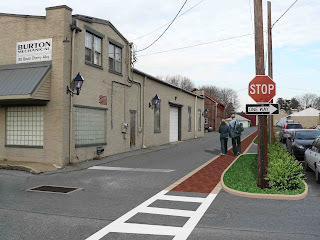 And then last year, the borough received a federal Smart Growth Transportation (SGT) grant of $329,743 through the Lancaster County Transportation Coordinating Committee to extend the pathway network east from Market Street downtown through Community Park to the Elizabethtown Area School District. Matching funds for that grant came from a $630,872 state grant for the section from Conoy Creek at the Community Center to the train station. Total costs for both segments of the pathway network amount to $960,615. Construction on the eastern section is expected to begin this year. Why are we doing this project? Because it will have a long-term positive effect and impact on the borough, on the downtown, on the quality of life for residents -- the list goes on and on. Take a look at the 10 reasons why the National Trails Training Partnership says municipalities ought to consider walking and bike paths. Have you spent any time on the Conewago Rail Trail, whose trailhead you can catch on Route 230 just outside Elizabethtown? I've ridden my bike as far as Mount Gretna, and even in the middle of the week I've encountered people walking, running, cycling and riding horses. On a sunny weekend, the parking lot on Route 230 is jammed, and vehicles line (unsafely, in my opinion) the area near where the path crosses Route 743. Concept of the path at Cherry and Vine alleys. Note: The path might not end up looking like this. I remember one of our borough staff saying a couple of years ago that so many people use the rail trail, "and there's nothing out there." Think about it: For almost 10 miles, until you get to Mount Gretna, there's beautiful scenery, but you can't stop for lunch anywhere. Imagine with our own trail that will intersect in the downtown, where people can detour to Rita's or Lucky Ducks. And what about the health benefits? We are creating opportunities for people to exercise on a nicely designed designated path. In this country, we are having a national conversation about obesity and what we can do about it. Here in Elizabethtown, we've decided to do what we can. I, for one, know I'll be using the path. I am a runner, and I see a great route that will take me from Bear Creek School, through the Elizabethtown Fairgrounds to East High Elementary, behind the football stadium and catch the new path. That will take me all the way through town, to the train station. I could loop home from there, or I could run through the tunnel at the train station and get a couple of more miles on the paths and roads at Masonic Village. Will you use the path, too? For walking, running, bicycling? I think this is fantastic news! About 2 years ago, I was in contact with West Donegal Township because they were hoping to create a path from West Ridge Road down to the Masonic trails. Wouldn't it be amazing if the Rutts/West Ridge neighborhoods could access Masonic Village through trails and then continue on straight through the middle of Elizabethtown! I hope all of this comes to fruition before I am too old to ride my bike/walk these places!!! That would be great to connect those neighborhoods to Masonic Village. Running on the roads out there is always precarious because the shoulders are so narrow.